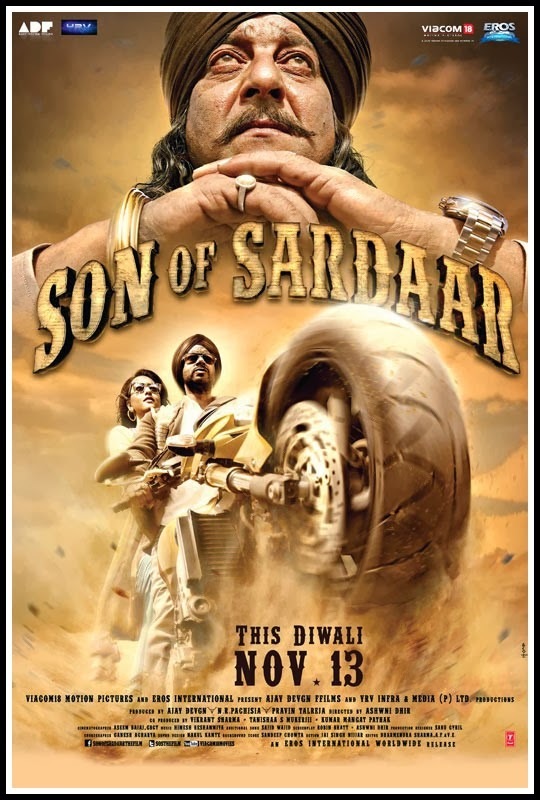 Info : Son of Sardaar, also known by the abbreviation SOS, is a 2012 Bollywood action comedy film directed by Ashwni Dhir. The film features Ajay Devgan, Sonakshi Sinha, Sanjay Dutt and Juhi Chawla in lead roles. Salman Khan appears in a cameo role and a song sequence. It released on 13 November 2012. Whilst having competition with the Yash Raj film Jab Tak Hai Jaan, Son of Sardaar managed to do good business at the box office worldwide despite underperforming. Box Office India rated Son of Sardaar as hit in India, and an average grosser in the overseas markets. It went on to gross INR1.5 billion (US$23 million) worldwide.